Predictive analytics technology is the core enabler of big data, allowing businesses to use historical data, combined with customer insight, to predict future events. This could be anything from anticipating customer needs, forecasting wider market trends or managing risk, which in turn offer a competitive advantage, the ability to drive new opportunities and ultimately increase revenue. No wonder more businesses use predictive analytics today than ever before. Not only is there more data available, but the cost of tools puts them within reach for most businesses [check out predictive analytics solutions by IBM’s SPSS Modeler, SAS Enterprise Miner, SAP Predictive Analytics, and Oracle’s Data Mining ODM]. In the past, you’d need lots of expensive storage, massive computers, and expensive software to run predictive analytics. With the reasonable cost of cloud storage and inexpensive software that runs on the average desktop computer, everyone can harness the power of predictive analytics. It turns out, even though more businesses are trying to make sense of their data, few succeed. Although a recent study by SAP finds more than 85% of surveyed businesses use predictive analytics and 77% believe they’re getting higher revenues because they’re data-driven, it turns out most are leaving a lot of money on the table — at least figuratively. So, why are businesses large and small failing with predictive analytics? Maybe they just drank the Koolaid and fell prey to the many myths about predictive analytics. Now, don’t get me wrong. Anyone who’s read this blog knows I’m a strong advocate of data-driven marketing (and business intelligence, in general). The problem comes when businesses fail to understand how to do predictive analytics the RIGHT way. Are you falling for any of these 10 myths about predictive analytics? Sure, new tools, like the ones listed above, make it easy to analyze big data and derive “answers”. In fact, you can throw in data and basically just let the machine run until it spits out something. The problem is, the answers might not be worth the energy it took to make the calculations. Running analytics programs is easy, doing it right is hard. That’s because you don’t just turn the computers loose a let them run. Predictive analytics requires some serious training in consumer behavior (at least within the marketing area) as well as alignment with company goals. I remember when I took a class from IBM on using their software. Within a couple of hours we figured out how to run data and the different options for analysis. Then, they turned us loose on a real data set and I remember staring at the screen, not knowing what to do next. That’s because I didn’t have a theory about how the data might be related — a necessary starting point for running predictive analytics effectively. Just because folks say something, doesn’t mean it’s true. A great example is the New Coke debacle. Coke’s market research folks went out and asked consumers about their preferences for soft drinks. Coke used their responses to develop a formula that better matched preferences. People were in the streets protesting New Coke (called simply Coke). People hoarded (Old) Coke so stores quickly ran out of their stock. It was a public relations nightmare — or maybe not considering the $millions in free publicity Coke got. Simple. Folks didn’t just buy it for the taste. They bought it for the whole brand image — the nostalgia of having grown up drinking Coke. Coke never asked them about that. They never thought about it. They didn’t really understand their customers. Predictive analytics relies on metrics — many of them historical data, some from studies. There’s the prevailing notion that things only matter if you can measure them. Sometimes things you can’t measure make a whole lot of difference. Take trust, for example. Does trust impact whether folks buy your stuff? You better believe it. You might be able to infer trust because someone buys your product, but you can’t directly measure it. So, it doesn’t show up in your predictions. 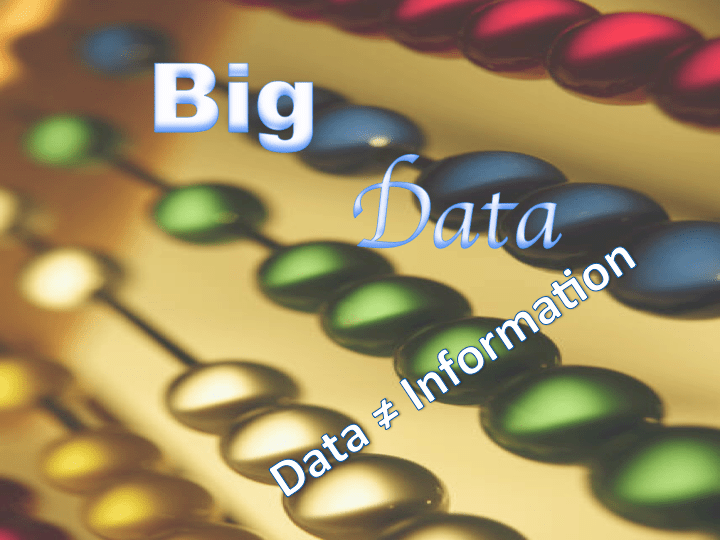 Predictions are primarily based on correlations (relationships) between the data you have. But, correlations don’t mean that one factor CAUSED the other factor. Just because 2 things are related doesn’t mean one caused the other. The best example of this is the correlation between hem lengths and the stock market — the shorter women’s skirts, the higher the stock market. But hem lengths don’t cause stocks to go up any more than high stock prices force skirts up. In fact, both are caused by confidence and a sense of well-being. So, if you try to manipulate stock prices by forcing manufacturers to shorten skirt lengths, you’ll fail. Predictive analytics produce probabilistic estimates of the future. No one has a crystal ball and predicts with complete accuracy. Take horse racing for example. People, knowledgeable people, place bets on horses using predictive factors like age, bloodlines, prior performance … The odds reflect the combined predictions of all betters. Most of the time, the odds on favorite wins — performs as predicted. But, every once in a while, the long shot surprises everyone and takes the purse. This leads to the next myth…. Not so, as we saw with our horse race. More data usually makes predictions better. As time goes on, new data should be added into your model and better predictions made about the future. But, sometimes, the whole model goes haywire. Cultural shifts, demographic changes, and other events might drastically change the model. Outsiders rarely have the internal knowledge necessary to run an effective predictive analytics program. Instead, you might have to invest in hiring or training employees. Somewhat related to some earlier myths is the notion that predictive analytics is a black box. You pour data in and something happens in the box (computer) that yields accurate predictions. It’s an appealing notion, but not completely accurate. Pouring in data often generates a lot of spurious correlations that don’t really mean there’s a relationship between factors. That said, sometimes pouring in data and seeing what comes out is an effective FIRST step in predictive analytics. However, the resulting predictions must be validated before a company uses them for planning. As I mentioned earlier, predictive analytics doesn’t have to break the bank. New software and cloud storage make it within reach of most businesses. This may be the grandaddy of all myths about predictive analytics. Predictive analytics, done effectively, produce insights. Turning those insights into action takes both intuition and managerial skill to gain buy-in from stakeholders and pivot the organization. What are your experiences with predictive analytics like? Do you have other myths to add to my list?